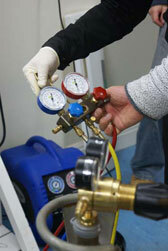 The air conditioner compressor is the heart and soul of your home air conditioning system. It is what pumps the Freon throughout your home cooling system. It is tough, but can be damaged by neglect. 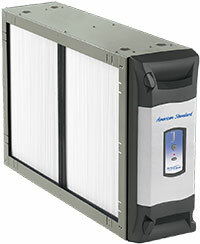 Your air conditioning system deserves to be taken care so that it can take take of you. A simple little maintenace, only $39 using the coupon above, will prevent the majority of problems that cause your Freon compressor, the heart and soul of your home air conditioner, from breaking down. 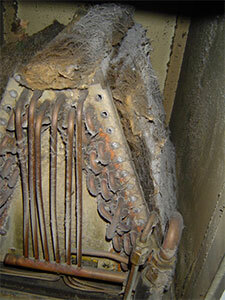 Here is What Causes Compressor Breakdown and Air Conditioner Failure. From being used year after year. 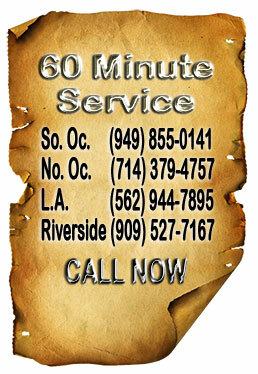 Most air conditioning systems here in Southern California last between 12 and 15 years. Liquid flood back occurs when the Freon coming from the indoor coil fails to evaporator into a gas. 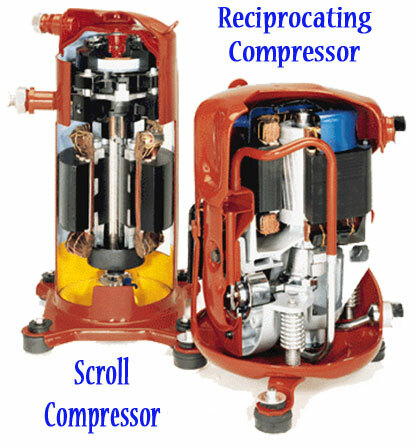 The compressor cannot compress a liquid and this situation causes the valves or scrolls in the compressor to suffer terminal damage. If the fan in the outside unit, the air conditioning condenser, cannot cool down the Freon the temperatures and pressures rise and eventually burnout the electrical components dur to the excessive stress. Here is what causes the number one reason for Premature Air Conditioning Compressor Failure, Liquid Freon Flood Back. A lack of air across the evaporator coil prevents the Freon from absorbing heat and evaporating in the coil into a gas form. Our $39 Air Conditioning Tune Up, coupon above, can help stop this air conditioner service failure. Once the blower wheel blades get dirty they cannot move as much air and this prevents the Freon from absorbing enough heat. 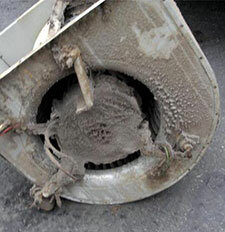 Our $39 Air Conditioning Tune Up, coupon above, can help stop this air conditioner service failure. Once the coil starts to form ice it will continue to form ice until a Liquid Flood back situation in your outdoor compressor exists causing failure. Our $39 Air Conditioning Tune Up, coupon above, can help stop this air conditioner service failure. Crushed air ducts prevent the proper amount of air throughout your home air conditioning system and this can prevent the correct amount of air from crossing through your indoor air conditioner coil. 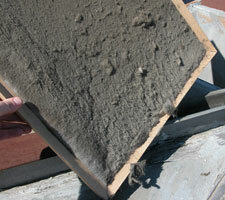 Our $39 Air Conditioning Tune Up, coupon above, can help stop this air conditioner service failure. Most air duct systems that we investigate when a compressor fails are undersized and contribute to the premature failure of the outdoor air conditioner compressor. Our $39 Air Conditioning Tune Up, coupon above, can help stop this air conditioner service failure. If your air conditioner service technician comes with a bottle of Freon in their hand and heads straight for your backyard you need to tell them to leave. 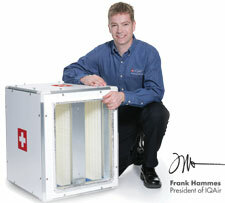 Before ever putting Freon in a home air conditioner the furnace or air handler need to be checked for proper airflow. 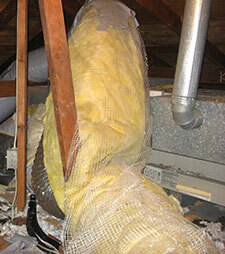 The air ducts need to be checked for proper airflow. The Freon pressure readings for “Low Air Flow across the Indoor Air Conditioner Coil” are exactly the same as the Freon pressure readings for low on Freon. Too much Freon in a home air conditioner is a very common occurrence. Our $39 Air Conditioning Tune Up, coupon above, can help stop this air conditioner service failure. …extremely polite and very knowledgeable, not to mention highly professional. …work and demeanor nothing short of professional. I am extremely pleased with the finished product, and well worth the fee your company charged me. The crew did an excellent job, clean and neat.